New Single for C-ute and more. Just recently °C-ute‘s 12th single has been announced and as of now, it’s still untitled and its release date is set for 2010-04-28 while the Single V is out on 2010-05-12. It has also been announded that Michishige Sayumi will be relasing a new solo DVD due out on the same day as the °C-ute single. The photobook announcement is still pending and both were shot in Guam. AKB48 will be releasing another Best of Compilation on 2010-04-07 which will include the singles ‘Oogoe Diamond’, ‘Iiwake Maybe’ and ‘River’ to name a few. It will also include 2 new songs. It seems that No Sleeves is still an active unit within AKB48, regardless of the strange schedule they have for their releases since they have a new single due out on 2010-04-21. It’s still untitled and it’ll be released in 4 versions, three featuring one of the girls in particular and one regular edition. Cute’s single isn’t untitled. It’s called “Campus Life ~Umarete kite yokatta~” was announced a couple of weeks ago and they have the comment up on Dohhhup confirming it wasn’t just a fluke. Hi, I performed dance”AKB48”　at wedding party. AKB48 is very famous idol in Asia. I succeed to please guests. To start things off, Morning Musume‘s 42nd single has been revealed along with a release date, keep in mind that both are still subject to change before the date. The single is titled 女が目立って　なぜイケナイ (Onna ga Medatte naze Ikenai, What’s wrong with woman standing out?) and will (for now) be released on 2010-02-10 in four different versions. This will be the first Morning Musume single to not feature Koharu as she graduates in just a few short days, on December 6. I just recieved my newsmail from cdjapan today and it featured a new release for AKB48 due out a week later, 2010-02-17. So far the single remains Untitled but according to the description, it will feature a graduation song and both versions of the single(from what I’ve seen as of now) are CD+DVD editions, both featuring different Music Videos. Also on E-hon’s page it was revealed that Mano Erina will be releasing a new Image DVD titled Mano Guide in Yakushima which release date is on 2010-01-27. We can assume that there might be an upcoming Photobook announcement a few days before the DVD release date as it has been the custom with the most recent Hello!Project Photobook releases as of late. Guardians 4 also have a single announced for next year, the title being ‘Going on!’ which will be going on sale on 2010-01-27 with the Single V coming out the week after on 2010-02-03. And Mano Erina also has a new single announced for next year, due out on 2010-02-24 and so far the title has been revealed to be 春の嵐 (Haru no Arashi) and it will be released in two limited editions along with one regular edition. 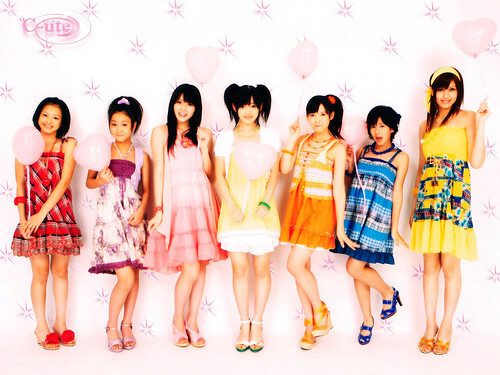 And lastly, Tsunku has finally announced that S/mileage will be graduating from Hello! Project Eggs status and having their official debut under the Hello! Project umbrella during spring of next year. Something which I’m really looking forward to since I’ve enjoyed all of their indies releases. AKB48’s latest single RIVER has sold a staggering 178,579 copies in it’s 1st week of sales and ranked at #1 in the Oricon Charts – a first for AKB48. These sales are really very impressive for an idol group and AKB48 seem to be going up and up in terms of sales and popularity, the area where I live is literally covered in posters for the group and it’s surprising all the different places the girls crop up both as a group and individually. The single ranked at #4 today, one place ahead of Morning Musume’s newest single “Kimagure Princess -” not looking too good for Morning Musume! I’m not really a fan of the direction AKB48’s music has taken and for me, they were at their best in 2007. Still congratulations to the group! yeah i know how you feel, i’m not really so big on their recent stuff. but still it’s nice to see an idol group do so well. i just hope they continue to do so well and that they release a single that i could become addicted to again. Give AKB48 their due. Their recent singles for me are instant faves! Move over Momusu. Since the switch to King Records their sound has been very samey but you gotta give credit to their marketing department. They sure as hell have blown their other stuff out of the water. AKB48 have done it again, the first day sales for their newest single, Iiwake Maybe is 57,456 and it’s ranked at #1 around 20,000 copies above SMAP! That’s some pretty impressive figures! I don’t really understand the great attraction of the single as it sounds like just about everything else they’ve released lately, it’s a fairly decent single overall and I like the c/w better! This could potentially be AKB48’s first weekly #1! I really hope they get to no.1 but SMAP are catching up fast after the 2nd day sales. It was announced at today’s AKB48 AKB48 National Tour – Budokan Concert that effective October 2009 all of AKB48’s teams will be reshuffled with members being moved around, also all AKB48 members that joined SDN48 will now only be SDN48 members – bye Meetan~! You may remember Sato Sumire from the Eighth Generation Morning Musume Auditions, she was quite a popular candidate amongst fans and she’s now a full member of AKB48 as a part of Team B. The second rejected from Morning Musume to join the group after Kashiwagi Yuki who is now the captain of Team B! Kago Ai & Melon Kinenbi both released singles today, Kago’s being her debut solo single and the Melon Kinenbi single being the first of five colloborations, this one with Beat Crusaders. Kago has charted at No.26 with no hesitAtIon, I was hoping she’d chart a bit higher but I guess I shouldn’t expect too much, especially as there hasn’t been too much promotion for this single. Rather surprisingly Melon Kinenbi have charted at No.27 with Don’t Say Goodbye and considering this is an indie release sold only at Tower Records the ranking isn’t half bad! The real victiory in the charts this week is for AKB48 who have managed to reach No.2 in their first day of sales with 41,064 copies of their new single Namida Surprise! sold in one day!! Amazing! Wow, Melon Kinenbi charted decently…o.o I used to check their PPN page and it says that they used to chart in the 180-200 range o.o Yay collaboration? Kago’s single could’ve done better with promotion. Wow, almost forgot that AKB48 had a new single coming out. They are just blazing the Oricon charts, aren’t they? I agree I was hoping that Kago’s single would have been higher on the chart. Both Songs are AWESOME and suit her, at least in my opinion. AKB48 are to release their 13th single on 2009-06-24 titled 涙サプライズ！, Namida Surprise. There is apparently some disatisfaction amongst AKB48 fans as to the members chosen to participate in this single, as I’m not too familiar with any members in particular I’ll have to wait and see what I think after a preview! C-ute are also due to release a single on the same day titled 暑中お見舞い申し上げます, Shochuu Omimai Moshiagemasu. This is a cover of the song of the same name by 70s J-Pop group, Candies. Incidently SweetS also covered this song. I’m a little dubious as to how this will turn out as covers are often a little disapointing from Hello! Project – I wasn’t a particular fan of COVER YOU. It’s rumored Kanna will return in June so she may participate in this single. If you remember, Kago Ai is also releasing her debut single on the same day as these two, we have a Kago VS C-ute VS AKB48 situation! While I’d like Kago to do the best I feel it may turn out this way; AKB48, C-ute, Kago. I can’t honestly see Kago charting too high though I’d like to be pleasntly surprised. I don’t imagine she’ll have great promotion as her label is a little unknown. Cute’s single has been pushed back to July 1st, was just announced at the concert today. Just speculation but probably means Kanna is coming back.